Parents often ask how they can support our programs financially. In addition to focused fund drives, the following businesses and programs allow families to support Dexter Schools as part of their regular day-to-day activities. If you have questions about any of these programs, please contact the booster club that is involved. 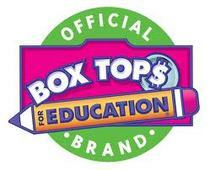 By redeeming BoxTops for Education labels from participating products, schools earn ten cents per label. Labels are redeemed twice a year for cash. Send your trimmed labels in a plastic baggie to the school office. Busch's Cash for Education program has long been a strong support for Dexter Community Schools schools and school groups. In the past, the program used rechargeable gift cards to credit shoppers with a percentage "rebate" for their purchases, with the credit being applicable toward a particular fundraiser, for example, seventh grade camp. As of November 1st, 2015, the rechargeable cards will no longer be needed. Instead, families will link their MyWay accounts to the programs they want to earn funds for. This needs to happen between October 12th and December 31st, 2015. The following documents provide more detailed information for participating families. By linking your Kroger Plus Card to a school fundraising account, you can earn cash back for your school. Schools or programs receive points for each participating product label collected, which are redeemable for educational/fitness merchandise from a dedicated catalog. Please do not trim the bar code off the label, otherwise it will not count. Return labels in a clear plastic baggie to the collection box at the school office. Meijer's Community Rewards program gives a registered shoppers percentage of purchases back to the participating school of your choice. For every ink and toner cartridge recycled, the school receives 200 points. Once 1,000 points are earned, the school receives a $10 gift certificate to spend on school supplies. For every qualifying purchase the school will receive 5% back in credits for free school supplies. Please bring your used ink and toner cartridges to the school office.